Victoria’s change of government has seen confidence in the state’s public transport decline, according to the University of Sydney’s latest quarterly national public transport survey. More than a third of Victorian residents think transport in their local area became worse in the last year, up from 21 per cent in the previous survey. Institute of Transport and Logistics Studies Director Professor David Hensher says about two-thirds of Victorian respondents cited public transport as the state’s highest transport priority. He says the drop in confidence is likely to reflect concerns about the planning and delivery of public transport projects such as the Regional Rail Link and Footscray-Caulfield Rail Tunnel. "The Victorian result shows how difficult it can be for new governments to meet community expectations for improvements in transport," Hensher says. Hensher adds Victorians aren’t optimistic about the short-term future either. The survey reveals thirty per cent of Victorians believe public transport in their local area will be worse in a year’s time, which is a large increase compared with 19 per cent of respondents who felt similarly in the March quarter. Hensher says a post-election increase in pessimism did not occur in NSW, where those who think transport will worsen in their local area in the next year stayed constant at 21 per cent after the March state election. "We will continue to monitor community confidence each quarter to see how the NSW community responds over time to the new government’s transport initiatives," Hensher says. 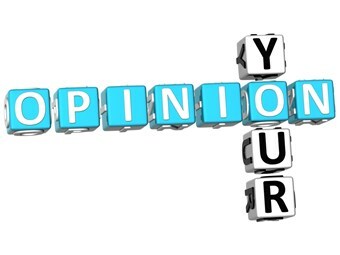 The ITLS-Interfleet Transport Opinion Survey ‘TOPS’ survey series is the first national survey of its type to measure transport opinions on a regular basis. The June 2011 quarterly report is at http://sydney.edu.au/business/itls/tops.